A model can be any class that includes the Origen::Model module, this will give you access to all Origen APIs for defining registers, pins, etc. and generally makes Origen aware of any instances of the model when you instantiate them. As a general rule include the Origen::Model module every time you create a new class in Origen, even if the model is not of an SoC or an IP block and the concept of registers and pins does not apply. There is not really any downside to including these APIs if you are not going to use them and this module is the main mechanism to hook your class into the Origen ecosystem. If a given model represents the top-level of an device then you should also include the Origen::TopLevel module, this specifically lets Origen know that it is a top-level model and as such it holds a special place in the Origen runtime environment - for example any register write requests will be sent to this object for dispatch. Internally the Origen::TopLevel module includes the Origen::Model module and therefore it does not need to be specifically included in top-level model classes (although there is no harm from doing so). Warning! While you can define multiple top-level models only one of them can be instantiated per target or Origen thread of execution. Attempts to instantiate a 2nd top-level object will raise an error. As your experience with your application grows, the way to partition your models for easiest maintenance and development will start to become clear. At that point you may feel decide to start introducing abstract classes to handle the concepts that exist within your domain and which don’t necessarily have a direct counterpart in the physical domain. However to get started we recommend that you closely follow the physical architecture of your target device, where each of the main IP blocks that you care about has an associated model. 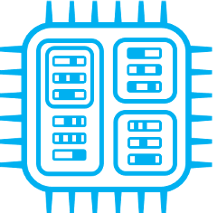 In this example we are going to set up an Origen model structure that will allow us to write some test code for a fictional NVM module contained within an SoC. We are going to call our application ‘NVM’ and all of our code will reside in the NVM namespace. However the top-level SoC model is something of a special case because potentially it could be shared by many applications - e.g. an application concerned with testing the SRAM could re-use our SoC model. The initialize method will automatically be called by Ruby whenever a new instance of this class is instantiated - so this is a place to do any setup or initialization that is required whenever a new Eagle model comes into being. At this point we have also chosen to have this method optionally accept a hash of options, we will do this almost every time we define a method since it builds in great flexibility and the ability to handle additional arguments in future that we may not have thought about when first defining a new method. Above we simply instantiated a new instance of our class, and then asked it if it was an instance of SOC::EAGLE_M352, to which it replied: ‘yes’. The above approach is ideal where the models are being built from a 3rd party data source (e.g. standard XML) and all that is required is to get an Origen object representation of the same data. This follows the same pattern as our first model, note the use of the NVM namespace and the subsequent storage of the file in the lib/nvm directory rather than lib/soc. If needing to add several similar sub blocks, a sub_block_group can be used. # Drawback is you only have methods defined in this class. This process can now be repeated to model the complete design hierarchy, the sub_block method can be used within sub-blocks themselves with no limit on depth. The namespace reference is not required when making references to other models/classes within the same namespace. Multiple instances of the memory sub-block have been defined. By convention use the plural for the group name, i.e. :memories and singular with an incrementing digit for the sub_blocks contained therein: memory0, memory1, etc. The classes for the various NVM sub-blocks are all empty right now and as such they did not really need to be defined, however these are placeholders for us to go on and add more logic in the future.